The Confederate statue Silent Sam, which stood on University of North Carolina-Chapel Hill’s campus since 1913, was toppled last week. On Tuesday the UNC Board of Governors held a nearly five-hour meeting, conducted almost exclusively behind closed doors, to decide what to do with the controversial statue. Administrators and coaches from the University of North Carolina at Chapel Hill are in Nashville Wednesday. They are there to face questions from the NCAA over an academic scandal that is entering its seventh year. Reema Khrais reports on Chapel Hill's efforts to connect with and support the local Muslim community. This comes eight months after three Muslim college students were killed by a neighbor. Aisha Anwar remembers when she attended a campus lecture last year as a UNC-Chapel Hill sophomore. She was one of the only Muslims in the crowd. The guest speaker gave a talk about Catholicism, and then touched on Islam. “And concluded with some really, you know, I would say intellectually irresponsible conclusions,” she says. The UNC-Chapel Hill Board of Trustees has moved forward with plans to create its own venture fund for start-ups. The Carolina Research Venture Fund will begin with $5 million, from investment earnings on non-state funds. UNC-Chapel Hill Trustee Sallie Shuping-Russell says they had to step up because the industry is not flowing with dollars right now. A UNC Chapel Hill alum has committed the largest individual gift ever to the university. The $100 million dollars is for the pharmacy school. 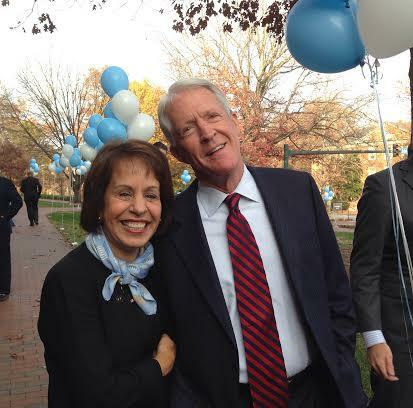 UNC Chapel Hill Chancellor Carol Folt made the announcement Wednesday outside the Eshelman School of Pharmacy. "I am almost speechless," said Folt. Mary Willingham is a polarizing name in Chapel Hill these days. The academic advisor at UNC says a majority of football and men’s basketball players are woefully underprepared for the college classroom. University administrators dispute those claims. As the credibility of Willingham’s findings has been called into question, she’s asking how universities can better educate these young men. The worlds of academics and big-time athletics often operate independently with little overlap. In recent weeks at UNC the two have converged, or maybe more accurately, collided. 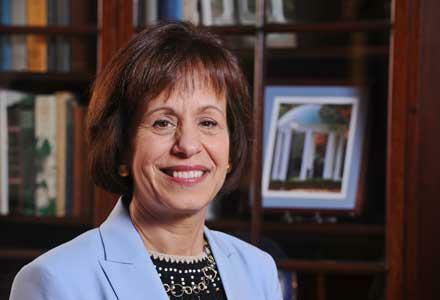 On Saturday UNC Chapel Hill inducted its first female chancellor, Carol Folt. The Holden Thorp Era At UNC-Chapel Hill. It’s commencement weekend across North Carolina. Thousands of college students will get their degrees and begin their professional lives. This year, they’re not the only ones who will get a fresh start. After five years as the chancellor at UNC-Chapel Hill, Holden Thorp is leaving to become the provost at Washington University in Saint Louis. 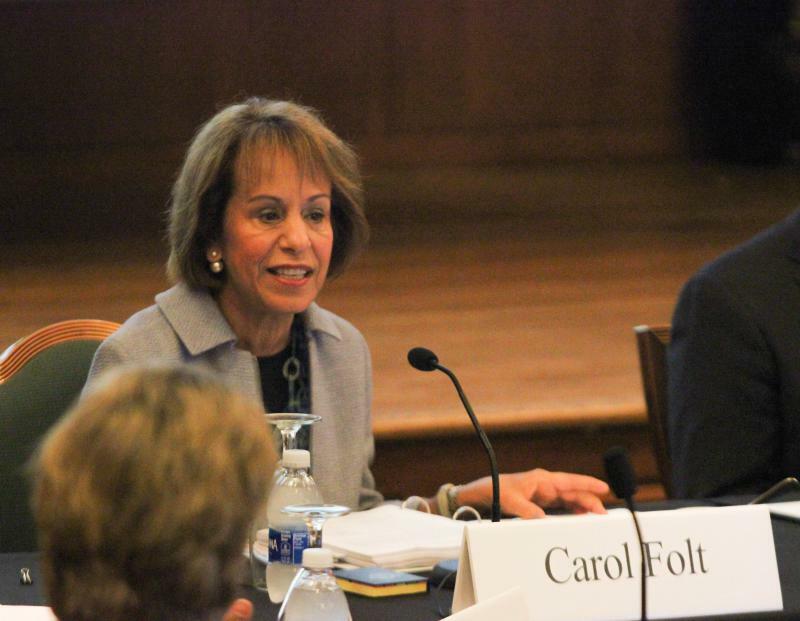 Carol Folt couldn’t’ stop smiling as she waited her turn to address the UNC Board of Governors. Color coordinated with her husband in Carolina Blue, the current interim President at Dartmouth College nearly jumped out of her seat after the Board unanimously voted to make her the new chancellor at the University of North Carolina at Chapel Hill. “Oh I just have to say I am deeply honored to lead the oldest and finest public university in America,” Folt said. 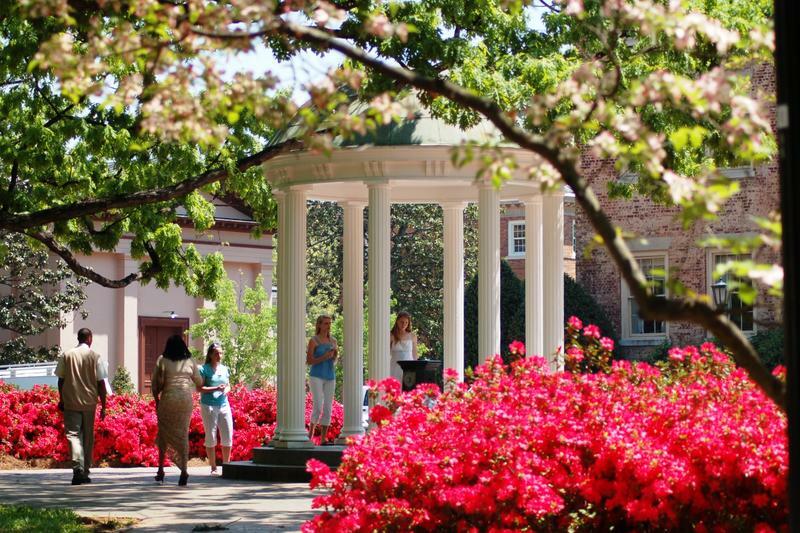 WUNC has confirmed that the current interim president at Dartmouth College is the choice to become the new chancellor at UNC-Chapel Hill. Carol Folt has been at Dartmouth for 30 years. After graduating with degrees from U.C. Santa Barbara and U.C. Davis, she climbed the ranks from environmental science professor at Dartmouth to Dean to Provost. Last summer, she was named interim president. 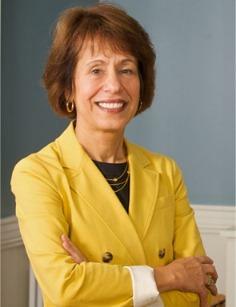 On Friday, Folt is expected to be named the new Chancellor at UNC-Chapel Hill. She would become the first woman ever to hold the job.